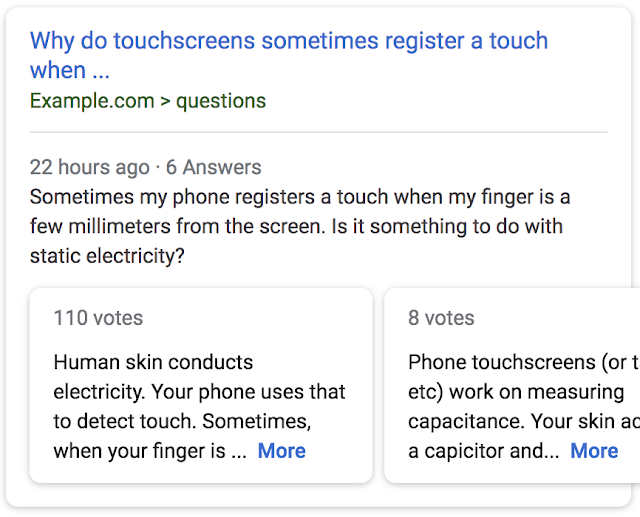 Rich Results expands for Question & Answer pages | The SEO Dr. Frequently, the information they’re looking for is on sites where users ask and answer each other’s questions. 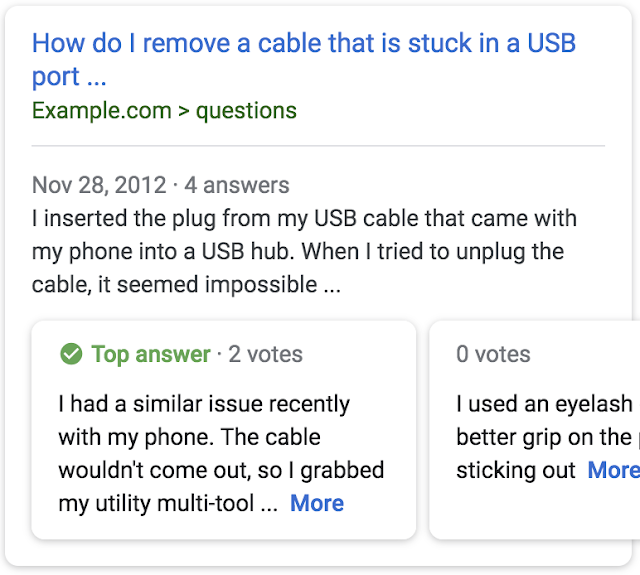 Popular social news sites, expert forums, and help and support message boards are all examples of this pattern. 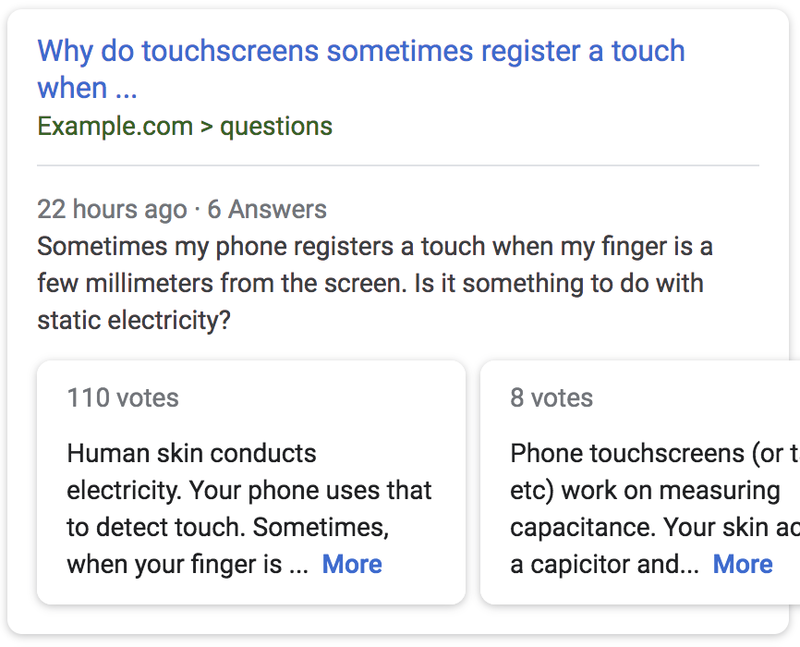 A screenshot of an example search result for a page titled “Why do touchscreens sometimes register a touch when …” with a preview of the top answers from the page.